Fabulous ice skating dress in lovely purple-pink colors of blackberry and berry. The diagonal design of this ice skating dress is set off by a beautiful floral applique. The applique has dimensional flowers, and large rose color crystals to make it sparkle! 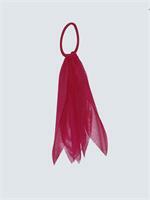 Delicate tendrils of rose AB color crystals enhance the floral applique with gently curving, sparkling lines. Crystal tendrils curve along the blackberry spandex off-the-shoulder 'strap'. In the back the crystals trail onto the suntan mesh dramatically. The flowing skirt has both blackberry spandex and berry mesh layers. Our Ice Collection ice skating dresses give you the choices you are looking for in designer skatewear. Dress has over 350 crystals. Only one dress available in child size 11. Ice Collection dresses usually ship next business day. 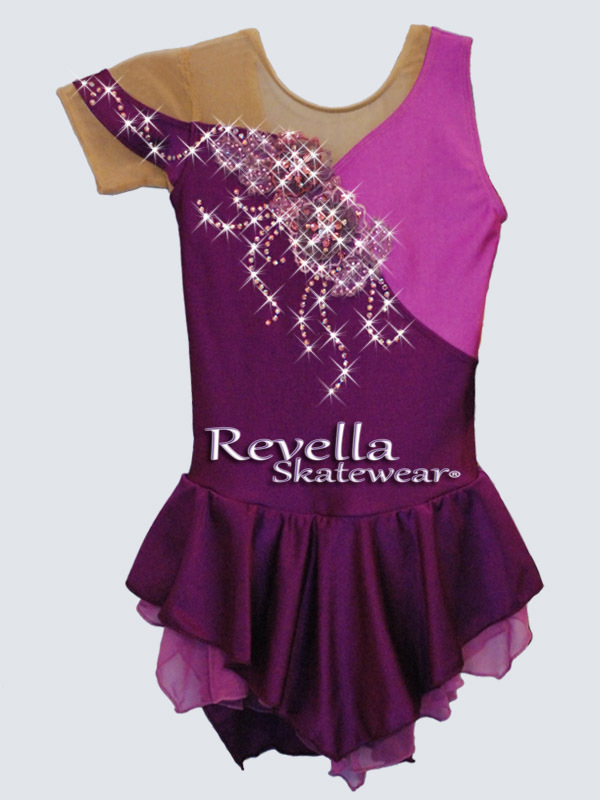 Please know your Revella Skatewear size. Please contact us with any questions.